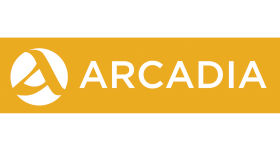 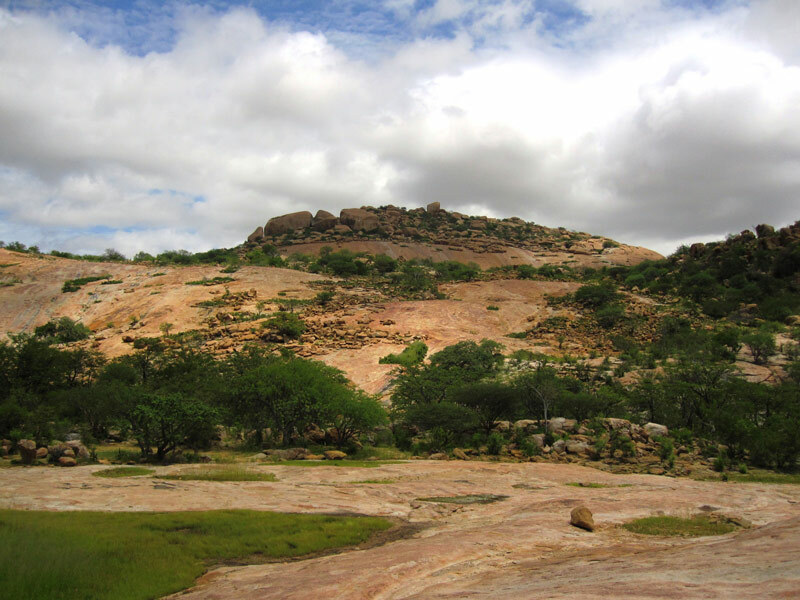 A high plateau forms much of central Angola and is surrounded by low-lying, coastal plains, arid in the south, and wide river valleys in the north and east. 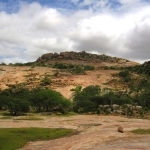 In the south west the country is wild and mountainous and very rocky. 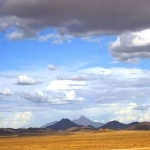 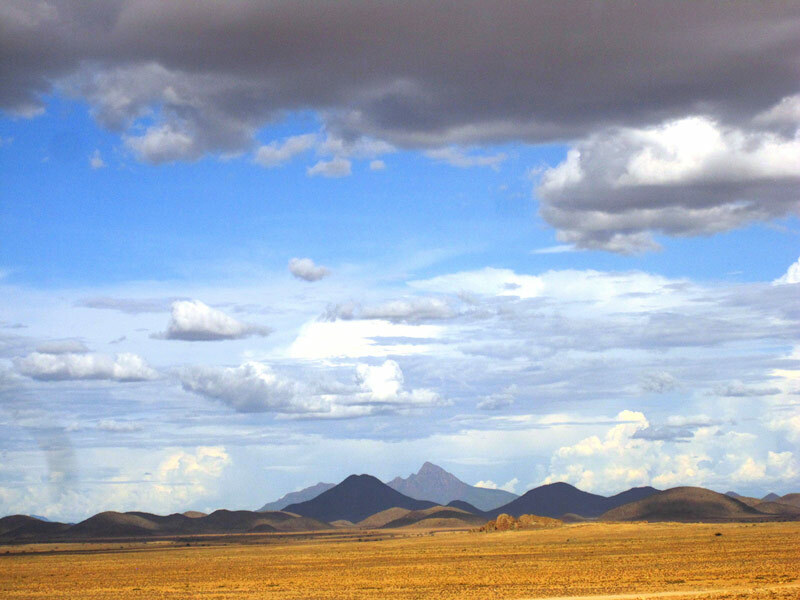 This is the northern extension of the Namib Desert which runs down the south western coast of Africa forming the hinterland of Namibia and the north-western Cape of South Africa. 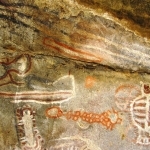 This south western area of Angola is where many rock art sites are located and where many sites still wait to be discovered. 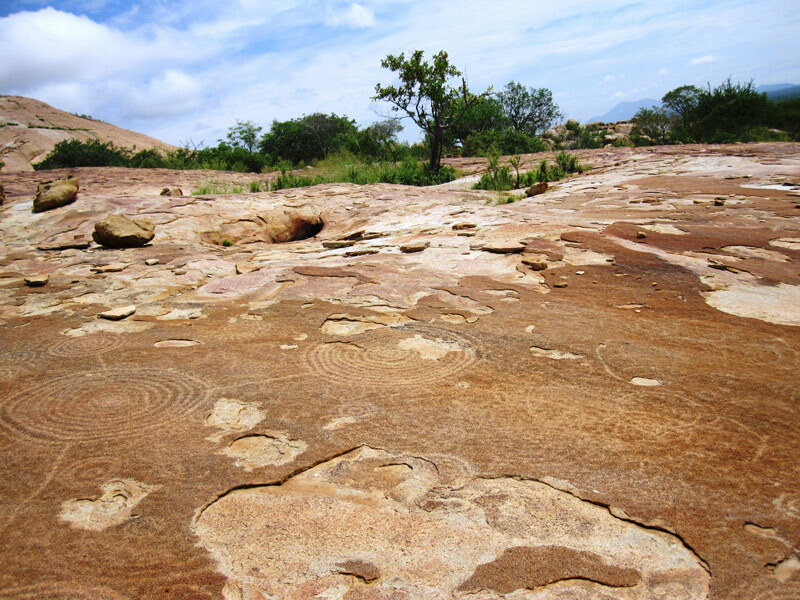 Of the sites which are known here, the most remarkable is Tchitundu Hulu near the town of Namibe, formerly Mocamedes. 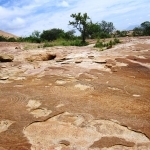 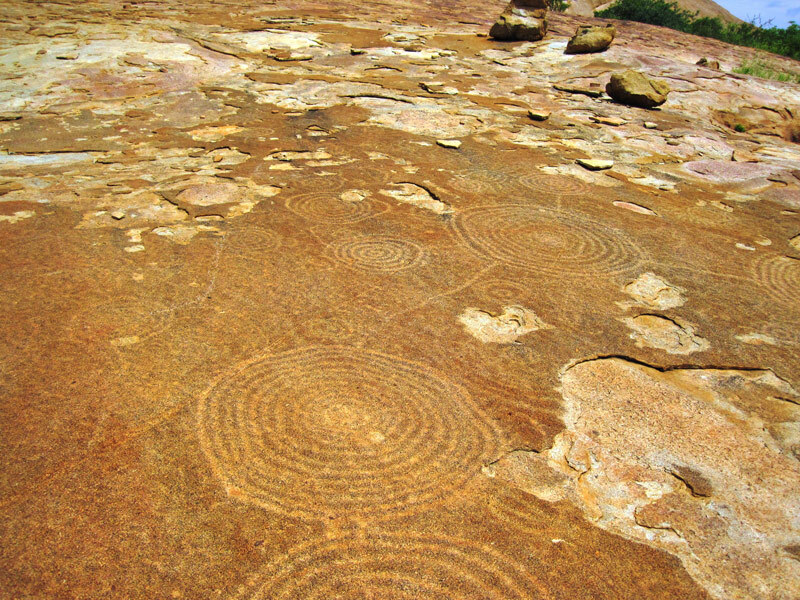 Here, a rounded granite hill is covered in ancient geometric engravings thought to be the work of the Twa people (Batwa), hunter gatherers who inhabited this region until after the 1960s. 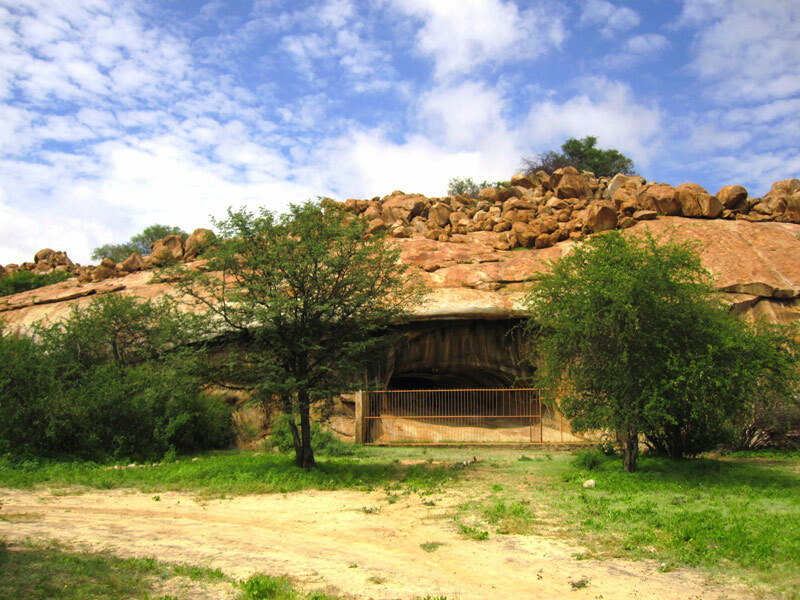 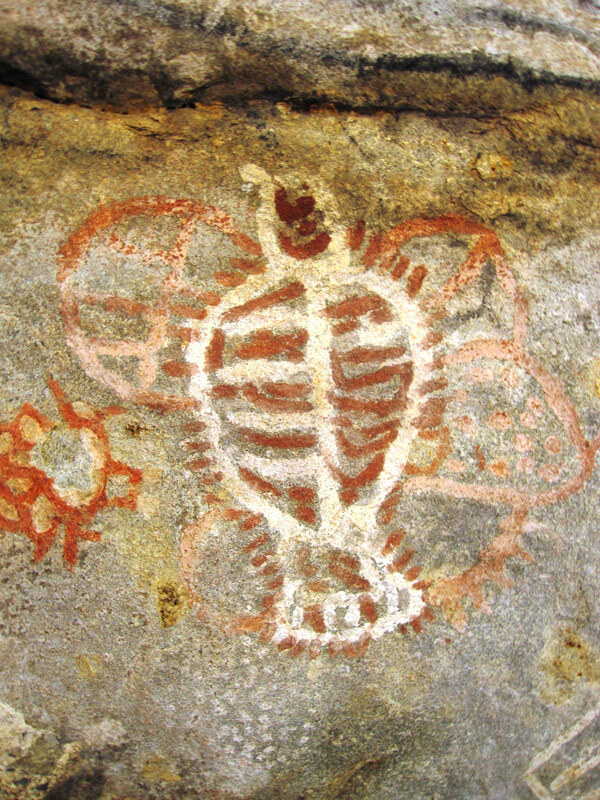 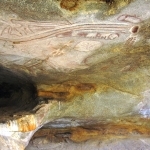 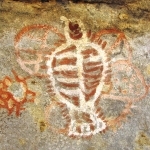 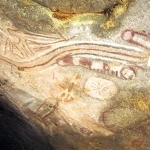 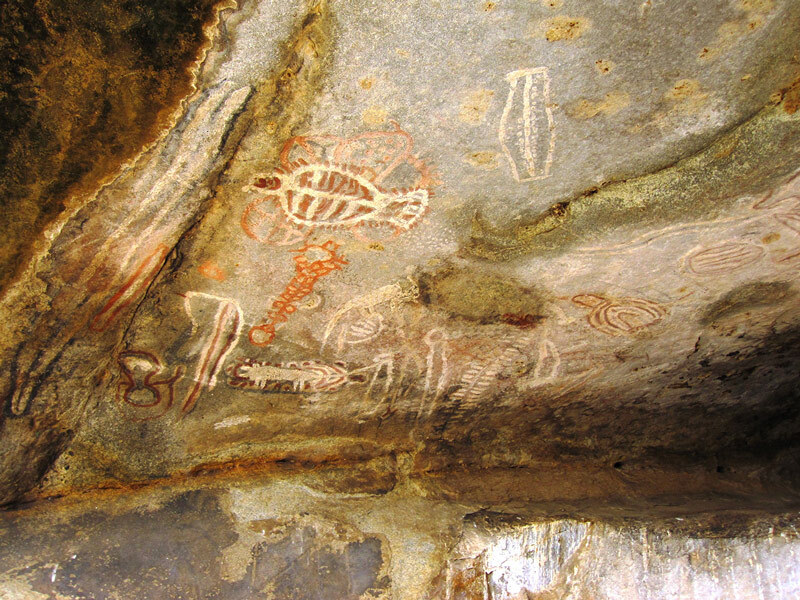 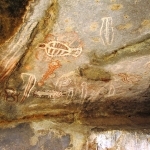 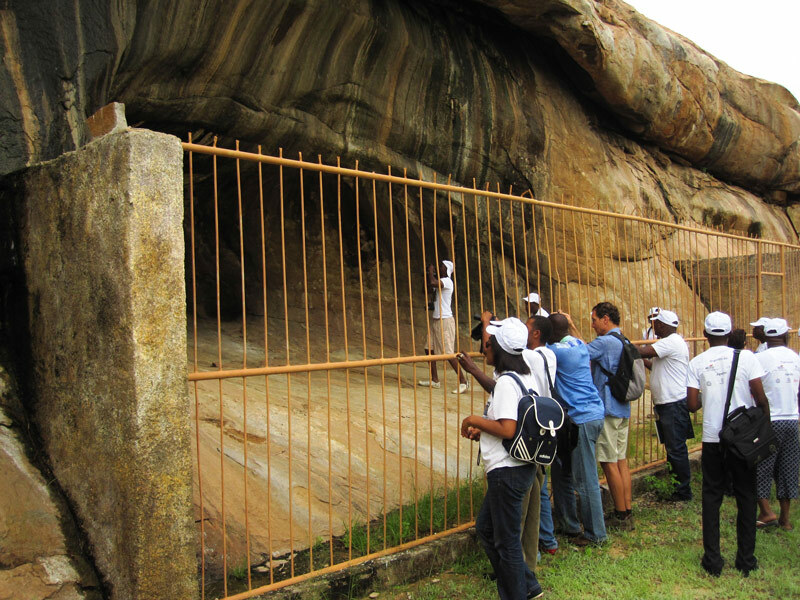 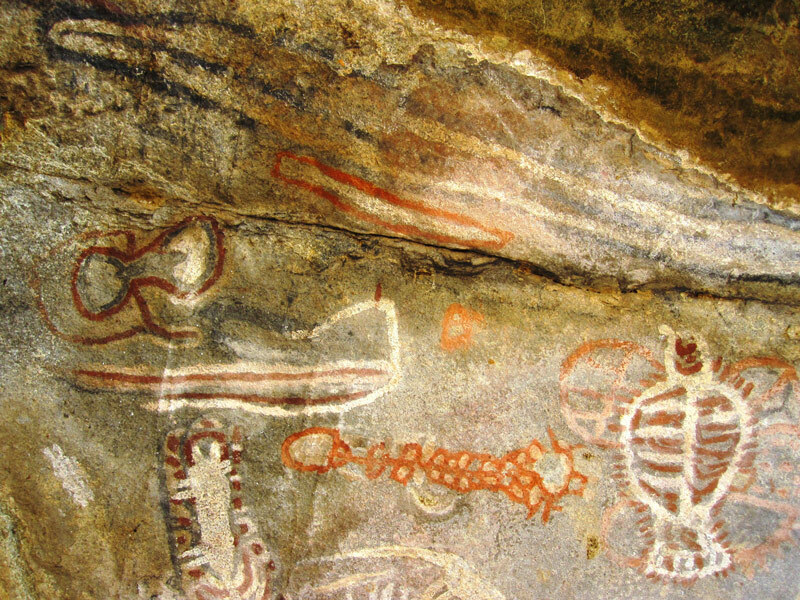 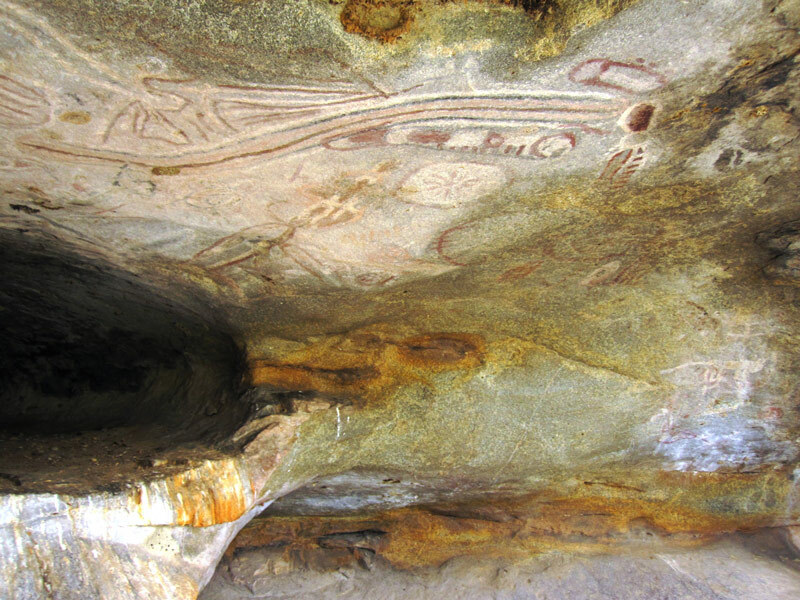 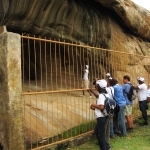 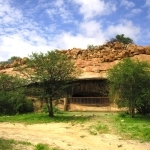 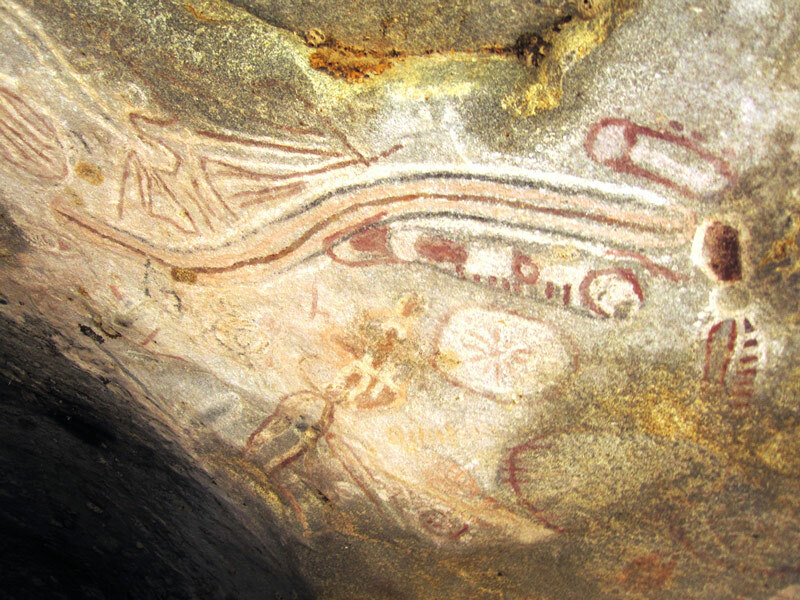 There are also rock shelters with paintings at Tchitundu Hulu depicting mythical animals. 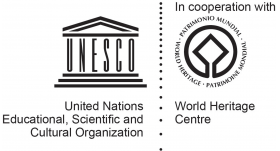 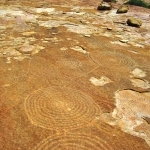 Meanwhile, other rock art sites have been recorded in the north near the Congo border and in the east near the Zambian border.